Product prices and availability are accurate as of 2019-04-16 22:52:42 EDT and are subject to change. Any price and availability information displayed on http://www.amazon.com/ at the time of purchase will apply to the purchase of this product. 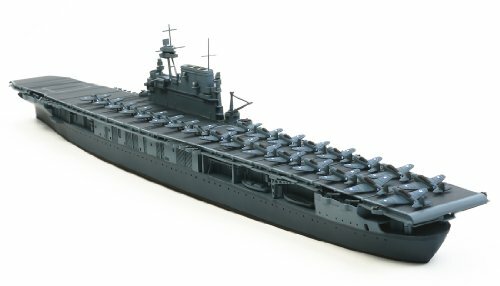 US Navy aircraft carrier CV-5; the most advanced USN pre-war carrier design. 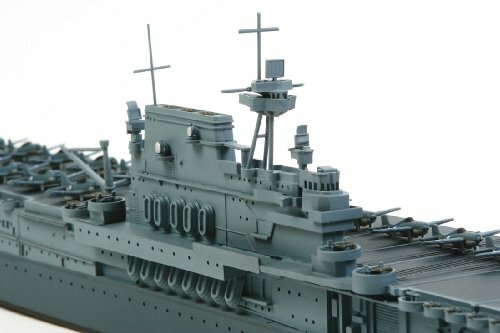 Kit features waterline hull with recessed portholes, flight deck with raised and engraved details, island superstructure with multiple platforms and tripod mast, anti-aircraft battery, aft hangar deck, optional position aft deck elevator, ship's boats, life rafts, cranes, brass wire (for optional detailing) and metal ballast plate. Also includes aircraft - TBD Devastator (x4), SBD Dauntless (x12) and F4F Wildcat (x8). Completed model is approximately 13.9" long. Color painting guide depicts Battle of Midway starboard profile and overhead plan view; decals represent aircraft insignia.